Our client requested our assistance in submitting a full application for permission to convert an existing (A1) shop to a (C3) residential dwelling (previously approved). With proposed external alterations, it included the erection of a single storey rear extension and a single storey garage extension to side. In 2014 our client secured prior approval to convert the existing (A1) shop into a (C3) residential dwelling. It was then decided that for the building to function as a dwelling more space was required. First we needed to obtain a Certificate of Lawful use to demonstrate that the building had been used as a shop (A1) and office for over 10 years, and therefore suitable for conversion under the GPDO Class IA. After the GPDO was approved, consent was needed to extend the property which was located in an isolated rural area. 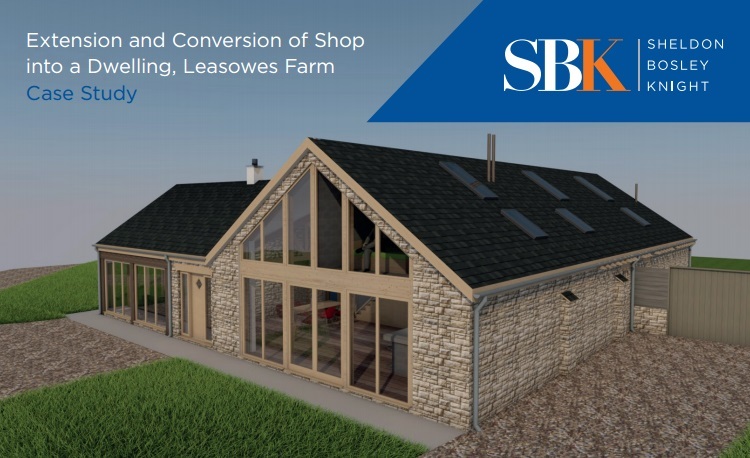 Having submitted the full application for the extension and conversion of the shop into a residential dwelling, Pillerton Hersey Parish Council did not object to the plans and the application was subsequently approved by the Case Officer. The Planning Specialist was Sam Russell MFPWS, MCIAT ARICS assisted by Chartered Technician Nadia Amietszajew ACIAT.